Beta Alanine has become one of the most heavily researched supplements within sports science in recent times. A non-essential amino acid, Beta Alanine has been shown in studies to help form the compound carnosine within the muscles which in turn can help buffer lactic acid, reduce the onset of fatigue and increase exercise intensity and duration. 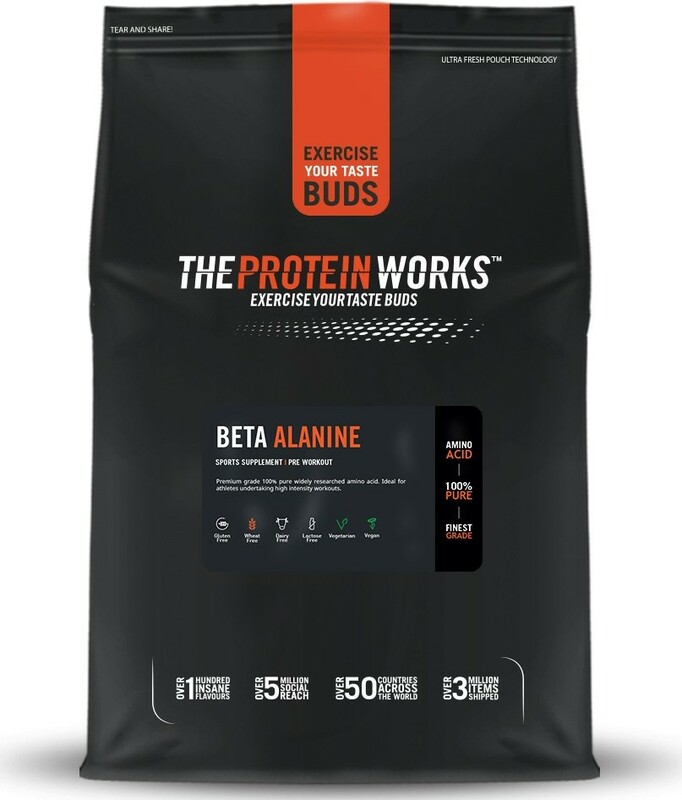 Proving so successful in experiments, Beta Alanine has now become one of the most popular performance enhancing supplements in sport today and specifically Beta Alanine from The Protein Works™ is sourced from an accredited TPW™ supplier and is the highest possible grade available. Backed by credible research, Beta Alanine is a great addition to any athletes supplement routine and is one of few supplements on the market proven to enhance performance when taken solely on its own. But it’s also become a very popular active ingredient in most preworkout formulas, including The Protein Works™ best-selling Raze™ Preworkout. 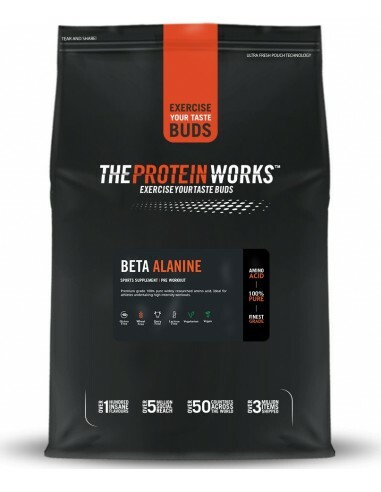 Also because Beta Alanine improves performance in a completely different way to most other aminos, it works very well when taken with other supplements. For example many sports scientists recommend strength athletes take Beta Alanine with Creatine Monohydrate to enhance muscle power and size. Whereas a Beta Alanine and Citrulline Malate has become the recommended supplement blend by endurance experts. Add 1 scoop (5g) to your desired amount of water or juice and shake well in your TPW™ Master Blender. Take 4g-5g daily, divided between 1-2 servings. Take 2g-2.5g approximately 20 minutes before exercise and 2g-2.5g immediately after exercise. Take 4g-5g ideally with food.